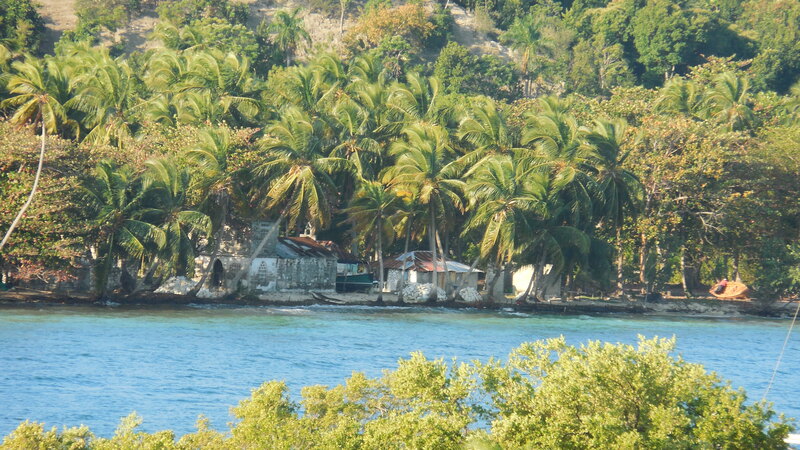 Home… today I woke up at home though in my dream that I had just awakened from, I was still in Haiti. As I began to wake up the questions began popping into my head again. Why is my home here? Why did God put me in this place in the world and not somewhere else? As I rolled over in my bed feeling the softness of my Downy scented Egyptian cotton sheets I remembered back to the place I woke up this time last week….Last week I woke up in a dingy hotel room in Haiti with sheets that seemed somehow cold and dirty to me, a far cry from the room I woke up in today. Is this really fair that this week I wake up here while they all still wake up there? How many times have I seen my bedroom but not really looked at it? I wake up every morning just expecting to see this room when I open my eyes the thought never crossing my mind that I could be waking up somewhere else. Do they wake up expecting the room they wake up in never expecting anything else? Are they sad? Or are they thankful for what they have? Last week I spent the week in Haiti. 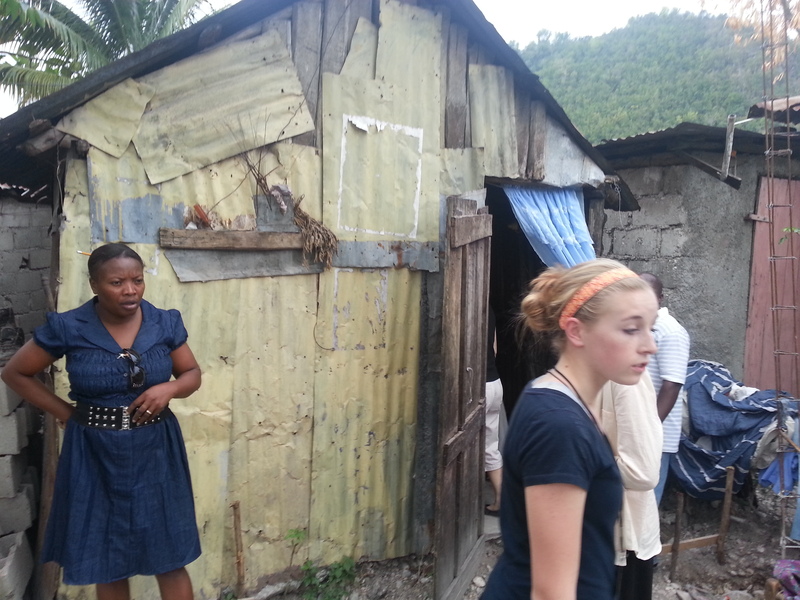 No matter what I have done this week I can’t seem to shake Haiti out of my head. As I go about my life here my mind is still there. My mind is on a bus ride through crowded streets, garbage, dirt, sewage, broken homes and broken people standing elbow to elbow all trying to make a living and a life. 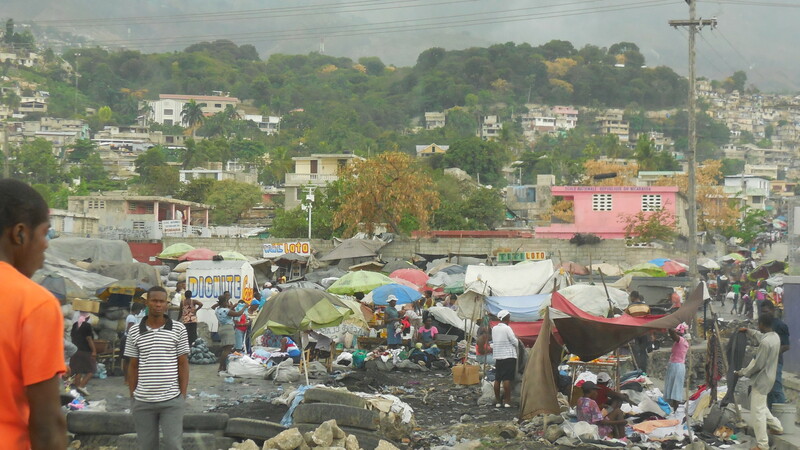 Did you know that 7 MILLION people live in the city of Port Au Prince?? I saw children playing happily surrounded by this mess in this place of brokenness… I remember passing a house with children dancing on a porch seemingly unaware, blind to the rubble that I saw surrounding them. 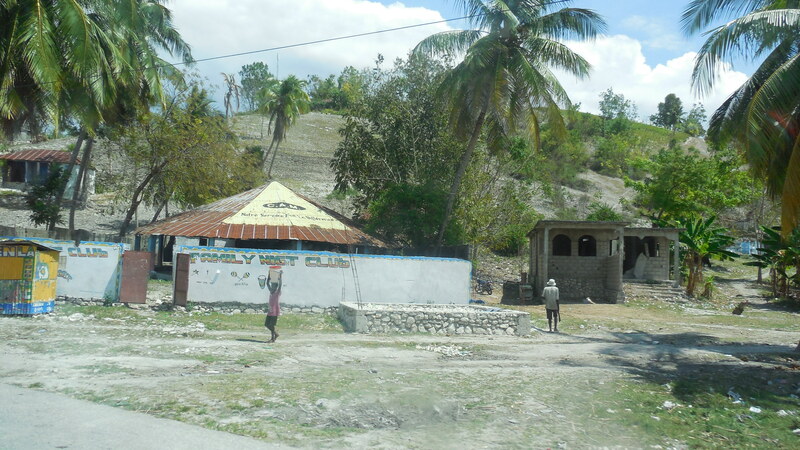 While on our visit to Haiti we went to a Compassion center. At a center we were watching a program the children put on for us when I heard something drop on the floor under my feet. I realized that the baby behind me had dropped his toy. I reached down to pick it up and realized what I picked up was not a toy at all, it was a Christmas ornament. A beautiful golden glittery ball made for hanging on a Christmas tree…not something I would give a baby to play with yet this was his toy and though by my standards unsafe by their standards it was perfect and the baby was happy. I remember visiting the home of a woman who had HIV, 7 people lived in her home, a 12 x 10 building constructed out of pieces of tin with a piece of faded blue cloth hanging in the doorway actually the cloth WAS the door. The woman welcomed us in with warmth, inviting us to sit down, so very happy to have visitors, she was very proud and thankful for all she had.. which to my eyes did not look like much. Our last two nights in Haiti we stayed in Port au Prince, I remember pulling up to the hotel and thinking it looked really nice. Upon entering my room I thought it was not so nice by my selfish standards. The lamp did not work and the other light that did work was dim and barely lit up the room. The room felt dirty and cold and when I pulled back the covers of my bed to sleep I discovered that the bed actually did have dirt in it. A week ago I would have marched up to the front desk and demanded a new room but not tonight…I just couldn’t after all I had seen this week. Even though I did not go ask for a new room I still kept thinking “I can not sleep in that bed it’s dirty” I also did not want to stay in that room though I knew I had to. I had to for the people of Haiti and also for me. Though I did not want to do it I brushed the dirt out of the bed and lay down on top of the sheets. Shortly after laying down I heard the whisper… Yes you know the one, the whisper that says “excuse me Terri, I think it’s time for an huge attitude adjustment”. I was here and they were out there, The people of Haiti the people who live here every day. They are not here just for a visit, they are here every single day of their lives. No escape, this is home to them. and by the standards I had seen all day this was a place of luxury I was spending the night in tonight. They were living outside the walls surrounding our hotel. Tall concrete walls separating us from them. They were out there in the noise of the city, the sirens, the crowds of people, outside in that that noisy city while I was in here, where it was … nice?? Yes nice, very nice. The voice more than a whisper now said “Wake up Terri its time to see!” Sometimes I wonder why my eyes can see something yet my brain blocks it out. There is a part of me that is still selfish, a part that for no good reason at all thinks I deserve better things, it’s that part of me that I sometimes feel so ashamed of. Sometimes I wonder if I am I blind by choice because if I do see then I will be held more responsible. It’s easy to care from my own comfortable home, but the real truth comes out when I have to live outside my own little comfortable box. I lay down that night a puddle of mush crying and praying. Crying and praying not only for the people outside those walls but also for the person inside those walls too. Crying and praying for me the person who needed a huge attitude adjustment. Praying for forgiveness for thinking I was too good to sleep in that room yet at the same time also thanking God that I was not out there in the streets of Port Au Prince where the world seemed so scary. 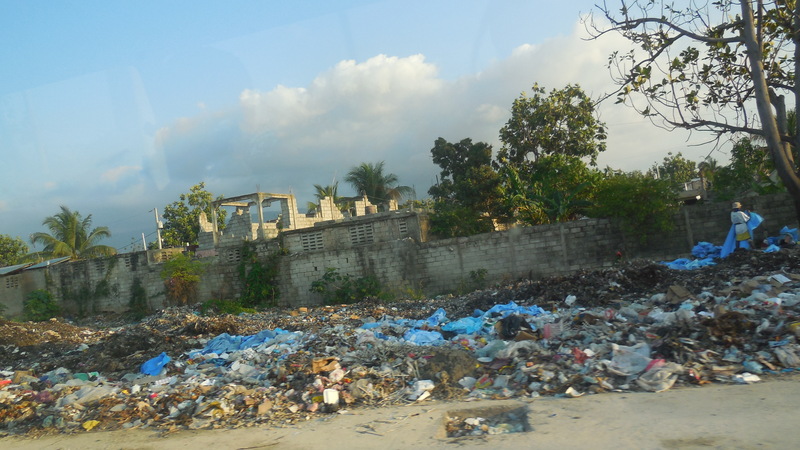 I went to Haiti with an idea in my head about what I thought Extreme Poverty would be like and now I know I really did not even have a clue as to what I was going to experience. Now realize a week later that I came home leaving pieces of my heart in Haiti and I also brought some of Haiti back home with me. I can never begin to explain what I feel inside. I feel like I now have a responsibility to the people of Haiti. I also feel very blessed by the week I spent there. I am not sure if I will ever be the same again which is good because I know I don’t want to ever be the same again. 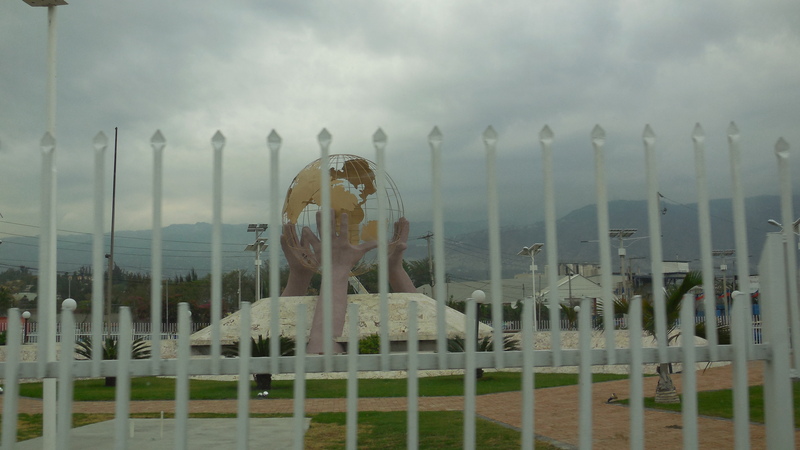 In the middle of Port Au Prince there is a statue of the world held up by three hands…our guide told us that the hands represented, the Father, The Son and the Holy Spirit, He’s got the whole world in his hands… Including Haiti. 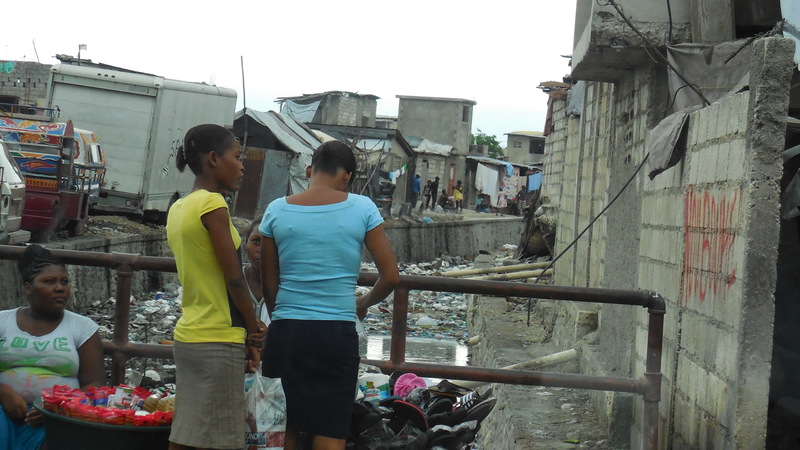 I ask you today to please pray for the people of Haiti. The trip I went on was with Compassion International, I had the chance to see first hand how they are helping to change lives in Haiti. 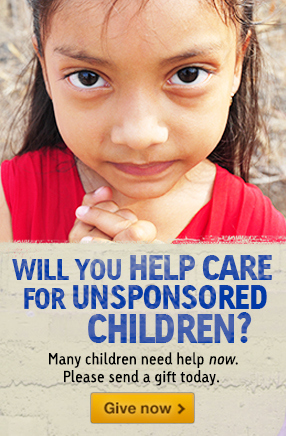 Compassion International is Christ centered, focused on children, committed to the church and to integrity. If you would like to help by sponsoring a child in Haiti here is a link, Compassion.com Many children are waiting and YOU can make a difference. 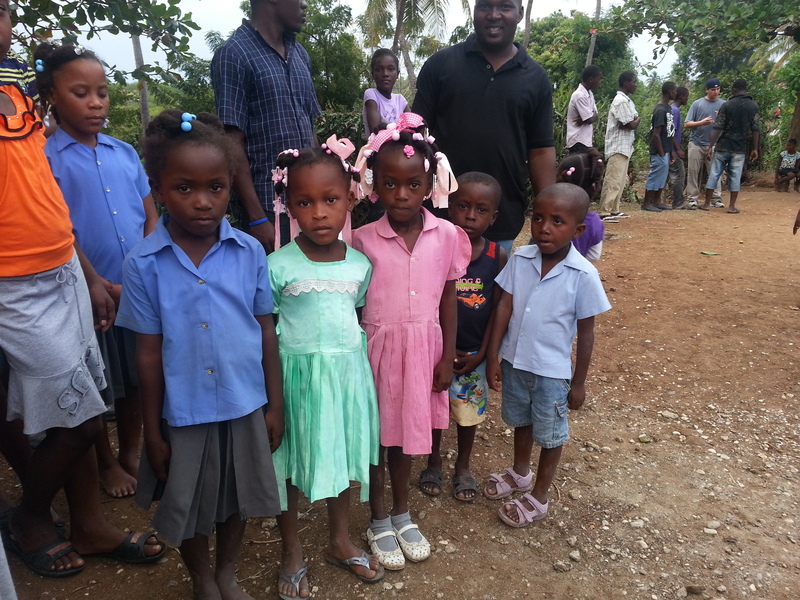 Thank you for reading my blog and for your prayers for the people of Haiti. This was a powerful and emotional story as I can relate to how you thought and felt going into a foreign country. I too, left not the same. I was in the Army at the time and I was deployed to Somalia, Africa. I did some traveling to Kenya, Tanzania, Djibouti. 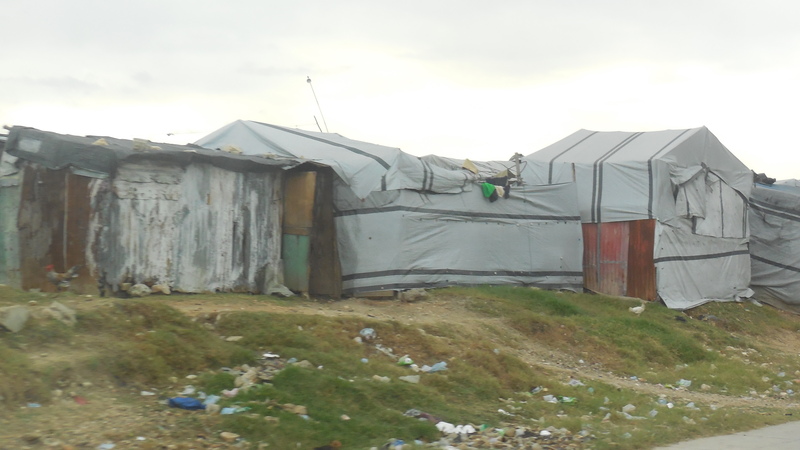 Words cannot begin to describe the impoverished places I seen and the way of life that the people live. As Americans we have become spoiled and really do not realize how good we have it. We take so much for granted. This was back in 1993 so you can just imagine how my mind cannot erase what I saw and how it made me feel after leaving 6 months later. God wants us to pray for the nations and to be the hands, feet and mouthpieces to the world. God bless you for opening your eyes to your selfishness and allowing The Lord to do a mighty work in you. This is just the beginning my friend. Much love and prayers I extend to you and for you as you seek the desire of ministry that He has brought before you to carry out however that may be. 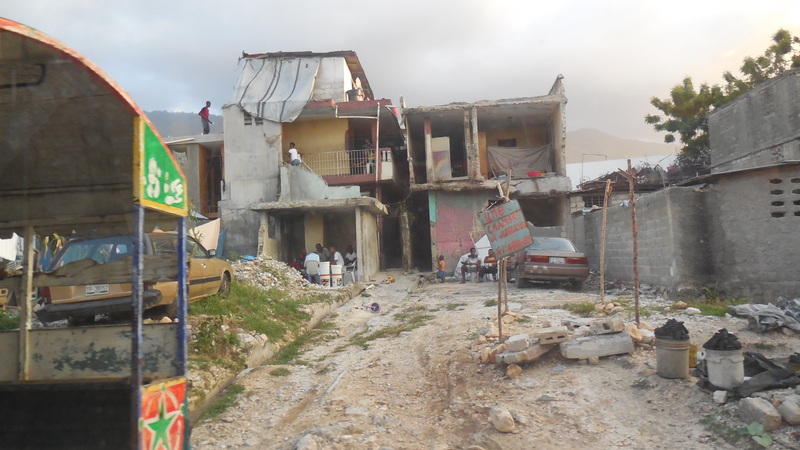 Be strengthened and encouraged for the people of Haiti and for yourself. It’s humbling. Wow….this was challenging to read! It reminds me of how I felt after coming back from missions trips….in the past my eyes were opened to how much we have here and how much we can help with what we’ve been given. But it’s so easy to grow too comfortable here…to forget that God blesses us so that we can then bless others. Thanks for the reminder! 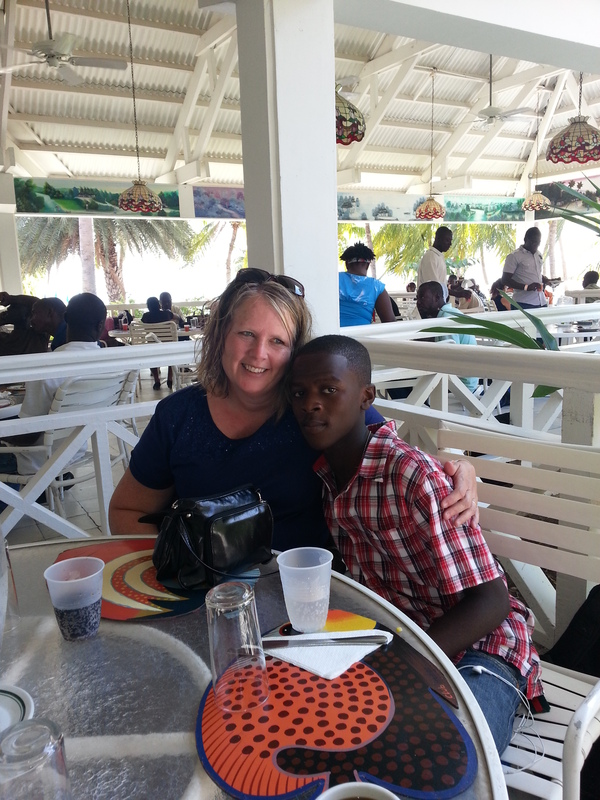 And thanks for letting me experience Haiti through you! Thank you for being faithful to God’s call and being willing to go where you were not comfortable. Mark 16:15 He (Jesus) said to them, “Go into all the world and preach the gospel to all creation. Hi T, I have always appreciated your honesty , we need to be real and not Happy Clappy all the time and this is what I have found, you don’t wear a mask like many others do, perhaps this is why I could share openly with you my heartache at being rejected by my Mum. We don’t have to give thanks for the suffering we endure or wish we could experience it to know how others feel but we do give thanks and rejoice that God helps us to endure whatever we have to face in life and brings good out of it as He has done with your Trip. We all need this adjustment T each one of us at the cross realises this and we know that pretending we have it all together is a cover up, God tells us to put our flesh to death not pretend we don’t have it or try to force it to do what we want. I had a black dress with white stains on it so I used a black marking pen to cover them up and it worked but a few washes later they were back so I did them again but once again they reappeared so I brought a new black dress and it has no white spots. We are like the Dress with the spots we can cover up out sinful nature, negative and sinful thoughts and attitudes and try to hide them or ignore them but they will return instead we have to be clothed in a new spotless garment which Jesus brought for us by His death but we can’t wear both, one has to go, this is why God tells us to put our evil flesh nature to death and as we choose to walk in The fruit of The Spirit ( Galations5 ) He empowers us to do so and so our flesh is put to death and what is so wonderful is our new Spiritual garment is without spot or wrinkle it’s all white meaning pure and Holy… the old has gone and the new has come… Jesus has set us free from the Slavery of sin so no temptation will be grater then we can bear, He provides the strength to resist it and so we walk as He walked in Victory. God bless you T and your Loved ones now and always. I have a friend in hatti her husband and her a missionaries with there children.whenthey talked to our church about their mission they really opened our eyes.we as well as you we did not know about their poverty . I have never have forgotten them in my prayers our church helped them with a pledge for some help and sponsored them.I am Vice president of the hobo university we are a mission to help the Holmes and indigent in Rolla mo. And surrounding areas .There is a very big need to help them to know Jesus and his undying.love for his people .we need to save the world at any cost.